The Capacitor is a frigate-class ship for the Substrate. Support unit with radar. Recharges the weapon energy of nearby units allowing them to fire for longer. The Capacitor is an energy-recharging support frigate. Since the majority of Substrate units require energy in order to use their more powerful weaponry, the Capacitor is an absolute must for most army formations. It also has a medium range radar useful for artillery units such as the Destructor Cruiser or Tormentor Frigate. Small laser for last-chance defensive maneuvers. 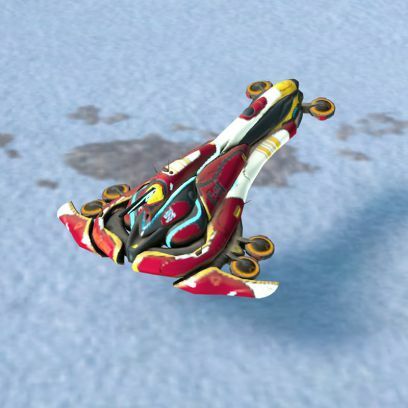 Capacitor is a necessity in long drawn-out battle where energy-oriented cruisers can run out of energy. Capacitor is also a necessity, even having just 1, due to the mobile radar utility that it provides. Capacitor has very limited weapon to protect itself and thus, should not be overproduced. This page was last edited on 25 February 2019, at 04:05.